Here at The DBQ Project, we love that DBQ Online has taken off in many districts. Many teachers have shared their strategies on using the platform, and their main message to us, and one we totally agree with, is: keep it simple and true to the DBQ method! One way to do that is to look at how our online platform can be used to help students with document analysis. 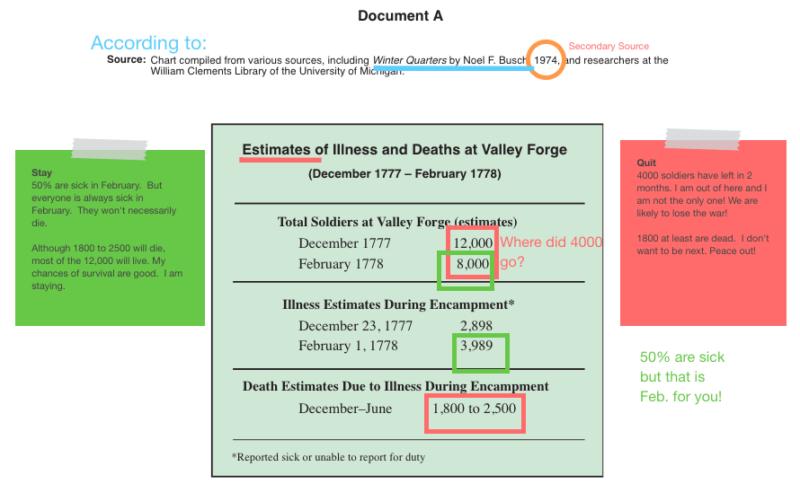 How Can DBQ Online Features Help Students Break Down and Analyze Documents? Keep it simple! As students go through the documents, they can bucket Stay and Go. They will have more than enough ammunition to build an argument on either side of the debate, and by color coding the buckets, they will have easy reference points from which to build their essays. DBQ Online takes our materials to the next level. Through our online platform, teachers and students can read and annotate documents, take notes, bucket evidence, and even write papers! Interested in more ways you can use DBQ online in the classroom? Watch the video below for an overview on DBQ online. Ready to order DBQ Online? Visit our website for more information on pricing and integration!